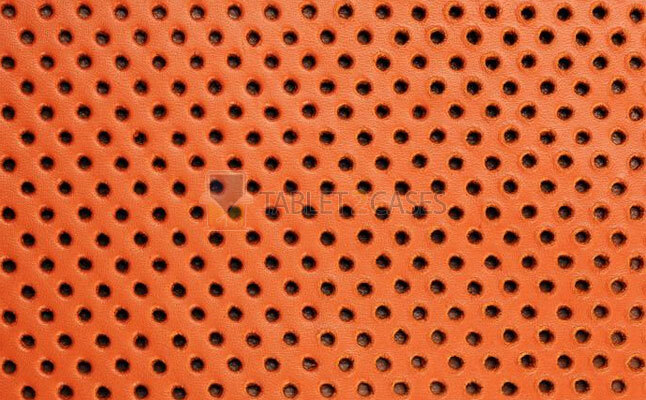 Alaïa Perforated Leather iPad Case is another high-quality tablet designer case . 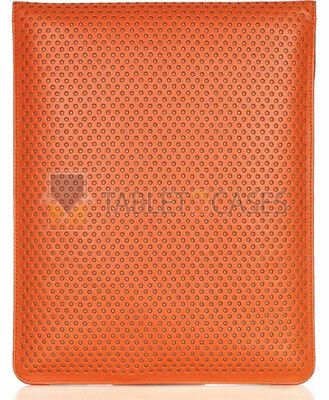 The hot bright apricot color of this tablet case for women will make your precious device stand out in the crowd of black and grey envelopes cases . The case is made from 100% calf leather. 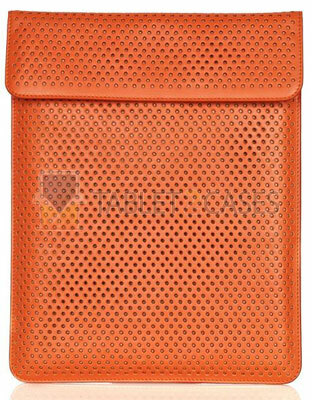 The perforated leather material , as can be derived from the case’s name, will offer some degree of protection to the Apple iPad . 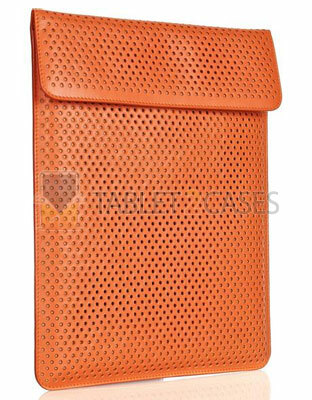 Keep in mind that the new case was mostly designed as a fashion statement, so no need to throw it around hard surfaces. Once inside the case the iPad is guaranteed to remain scratch free. 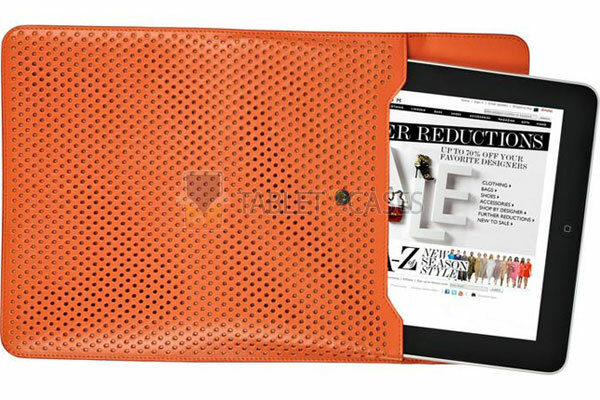 The tablet sleeve features a press-stud closing flap top, which keeps the iPad securely inside the case at all times. The new case is partially lined with taupe colored leather. A presentation box stamped by the designer completes the package. The case can be yours for £155.32.